BioWare is playing coy about FemShep's fate in the new Mass Effect collection. When Mass Effect 3 didn't feature FemShep on the box art, fans were upset and vocal enough about it to force a change of heart and FemShep got a spot on the cover after all. Yet when the latest collection was announced the protagonist box art was conspicuously heterogametic, raising the whole FemShep issue once again. When questioned, the developers responded via Twitter claiming that there were plans in store but then played coy about what they might be. 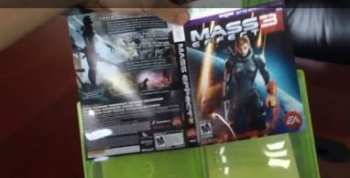 "A little something special" is in store for FemShep, claimed the Twitter feed, but it refused to go into any detail. "Stay tuned" was all the developer was prepared to say at this stage. One thing we do know: it has nothing to do with the box art. This is completely separate, according to the Mass Effect feed. "Let's not let imaginations run too wild," the feed said, adding "it will be awesome, but it won't be earth shattering." Cool, but not heart-attack inducing; which is a reasonable target for a game developer to hit. After all, they can't sell you DLC if you're dead in your chair.